With more than 100,000 Korean shipbuilders out of work in the past two years, and whole towns devastated by the drop in newbuilding activity, Seoul has taken further drastic steps to resurrect the sector, moves that could further infuriate rivals Japan and Germany who are already talking up the possibility of taking the Asian country to the WTO for its shipbuilding subsidies programme. South Korea has designated five key regions, which are home to major shipbuilders as “special industrial crisis response zones”. 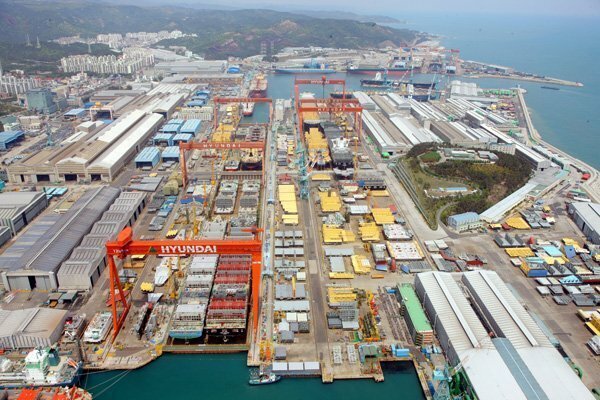 The five zones are in Ulsan, home to Hyundai Heavy, Geoje island, where Samsung Heavy and DSME are, and STX’s hometown of Jinhae, and Tongyeong and Mopko, the latter two especially hard hit areas by shipyard closures in recent years. According to Kim Dong-yeon, the finance minister of South Korea, the government will provide job support and tax incentives for the shipbuilding companies and suppliers in the designated regions.